Having dropped out of the race to sign Alexis Sanchez, Manchester City’s woes must have been hit even lower considering that their bitter rivals Manchester United emerged with the Chilean’s signature instead. 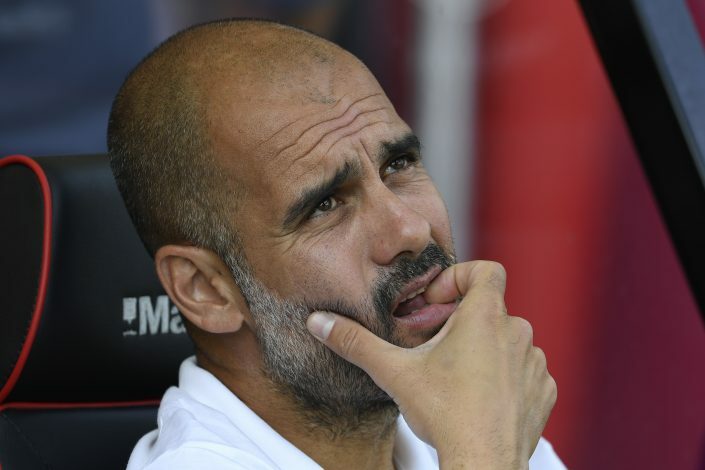 However, that hasn’t disheartened them in the slightest, and Pep Guardiola’s other pursuits seem to be on during the final days of the winter window. Currently, the Sky Blues are linked with Bilbao’s Aymeric Laporte and Shakhtar Donetsk’s Fred. While nothing substantial has emerged over the two yet, another surprising and absurd signing by City will definitely raise some eyebrows. As per Umbro, City have completed the signing of Mix Diskerud from their affiliate club, New York City FC. If the name doesn’t sound familiar to you, don’t be surprised, as the player is a virtual nobody. Having played in Norway during his younger days, Diskerud signed professionally for Stabæk in 2008. Signed by the MLS club in 2015, the 27-year-old has actually yet to even make a mark in the first team. And yet, he has now been signed by the Premier League leaders. He had this to say about the move: “This is a great opportunity for me. I’m very eager to be a part of people and organizations that constantly strive to bring our sport, values, and gear to new levels. It would appear that the signing might be due to certain commercial reasons, and it seems highly unlikely that he will play any major role in City’s earnest pursuits in the coming half of the season.